Planning on doing Black Friday shopping? 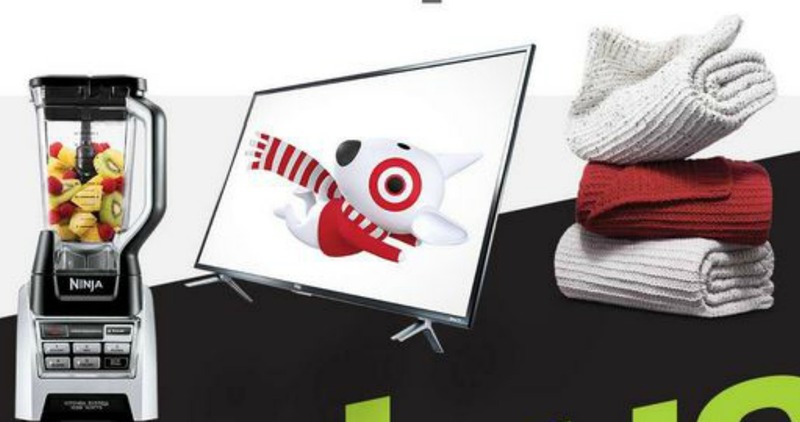 Here’s a heads up on a Target deal for you on 11/23 only! When you spend $50 or more at Target.com or in-store, you’ll get back a coupon good for 20% off a future Target purchase (the coupon is valid from 11/27 to 12/8). A few notes: The $50 threshold must be made in a single transaction and be met after other discounts. There is a limit of (1) per guest. If you’re shopping online, the coupon will be emailed after you complete your transaction. On 11/21, REDcard holders will receive early access to select Black Friday deals. Use your REDcard at checkout to get the special pricing. Plus, your card will get you an extra 5% off! It’s FREE to get a REDcard and you can choose between a debit card or a credit card.